2014 has been a solid year for film! From huge action setpieces to smaller, more personal films – there’s been a little bit of something for everyone. We here at Screen Invasion have seen a lot of movies so far this year and here are a few that have really stuck out to us. Ranging from Captain America to Boyhood, there’s a bit here for everyone. And in case you’re thirsting for something besides Transformers: Age of Extinction here are a few recent films worthy of your time and hard-earned cash. Read Our Interviews With Greer Grammar, Susan Fogel and Abby Elliott. This film was a hit at this year’s Tribeca Film Festival, and it’s really not hard to see why. The story of two co-dependent best friends – one gay, and one straight – whose idyllic relationship is disrupted when one of them finds true love, benefits mostly from the performances of lead stars Leighton Meester and Gillian Jacobs. There is a perfect balance of pathos and humor injected into the film’s narrative, and the characters are modern and likable. Essentially, this is a coming-of-age story for the millenial crowd, and it’s just a lot of fun to watch. Magnolia Pictures picked up the movie for U.S. distribution, so hopefully you’ll see it sooner than later. This year has already seen several excellent films that weave a tapestry of human emotion, full of whimsy and melancholy and heartbreak and hope. None of these films, however, has a scene where a deaf-mute woman murders several dozen people in a cramped commuter train with nothing but a pair of hammers, nor do their heroes fend off waves of attackers whilst trapped in a bathroom stall. The Raid 2: Berendal, Gareth Evans’ spectacular follow-up to his taut Indonesian martial arts thriller The Raid, shares little with its predecessor besides a title and a protagonist (Iko Uwais). But it’s nothing less than a modern action masterpiece, a crime epic of dizzying ambition that treats each of its many fight sequences as precious creative opportunities, using elaborate camera movement, inspired location choices, and even wry humor to keep the audience engaged. More than a martial arts showcase, The Raid 2: Berendal is a tactile experience – a movie that completely sweeps you off your feet and swings you to the beat of its sweet, bone-crunching music. Even with gems like Rushmore, Bottle Rocket, Fantastic Mr. Fox and Moonrise Kingdom under his belt, writer-director Wes Anderson continues to top himself, this time with the farce The Grand Budapest Hotel. Ralph Fiennes has rarely been better as the M. Gustave, who runs the popular hotel, bedding the older guests while trying to dodge a murder rap. Willem Dafoe is downright terrifying as Jopling, the murderous son of M. Gustave’s lover, played by Tilda Swinton. 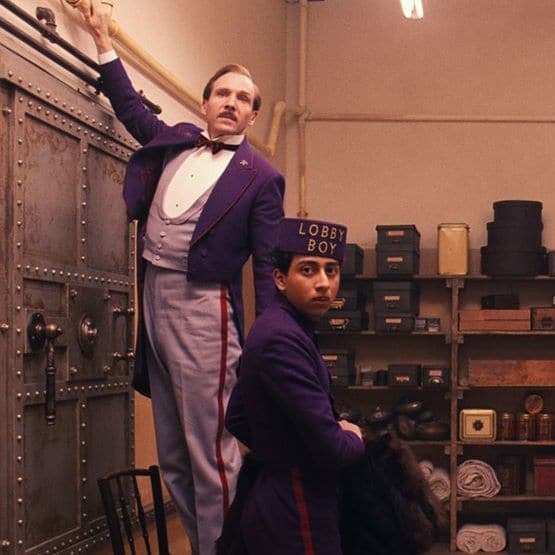 Mixing various aspect ratios to help tell the passage of time, it may not be as brialliantly framed as Moonrise Kingdom or laugh-out-loud funny as Rushmore, but Grand Budapest may be Anderson’s finest achievement…to date, at least. Cast: Chris Evans, Sebastian Stan, Scarlett Johansson, Anthony Mackie, Robert Redford, Samuel L. Jackson, Cobie Smulders, Georges St-Pierre, Frank Grillo, Hayley Atwell, Emily VanCamp, Toby Jones and more. Judging from trailers, I assumed that this would be a wonderful sequel and it was. It had everything in it. Bringing in the story of the Winter Soldier and us being able to see Bucky again was great. It was also quite nice to see the Black Widow have such a huge role in the film. The chemistry between Chris Evans and Anthony Mackie was so awesome to see, and hopefully more of the Falcon is used in future Marvel films. 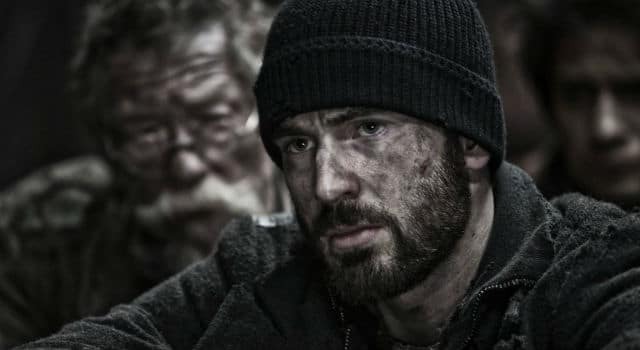 Cast: Chris Evans, Kang-ho Song, Ed Harris, John Hurt, Tilda Swinton, Jamie Bell, Octavia Spencer, Ewen Bremner, Ah-sung Ko, Alison Pill, Luke Pasqualino, Vlad Ivanov, Steve Park, Emma Levie, and more. I got to see the film at a showing at Los Angeles County Museum of Art and was left pleasantly surprised. It’s a very well done sci-fi film with one of the coolest casts assembled. Chris Evans really blew me away in this. It’s definitely the best role he has had since taking on the role of Captain America. He’s a brilliant actor and roles like these are showing the world how talented he truly is. Also, Jamie Bell was really great in this too. I enjoyed his role and the sort of comedic presence he had in it. Joon-ho Bong is a great director and hopefully he takes on awesome projects like this one more often. He’s got the eye for sci-fi. Richard Linklater’s ridiculously ambitious film – filmed over 12 years using the same cast – is more than just a gimmick. The coming-of-age tale bypasses any clichés and becomes truly universal, regardless of your age or gender. Ellar Coltrane, in his auspicious debut, is simply magnificent, even if his character grows less likeable as the film goes on. Then again, how many of us were insufferable as teens? 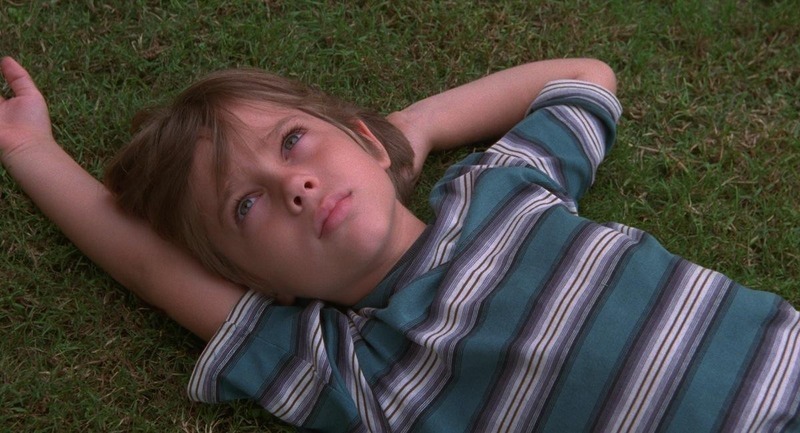 This is Linklater’s third straight knockout after Bernie and Before Midnight. But this may be his greatest achievement yet. In a summer full of sequels and franchises, I was excited to see some original sci-fi hit the big screen. While not a big fan of Tom Cruise, he does throw himself in to every performance, physically and mentally. Partnered with Emily Blunt, a vastly underutilized talent, I knew this would have potential. And even with my high hopes, it blew me away. Funny, smart, always engaging, Edge of Tomorrow is the best of the summer season so far. You can have your Transformers and Captain America, but I’d take this sci-fi action twist on Groundhog Day over them all. What’s been your favorite movie this year? Sound off in the comments!